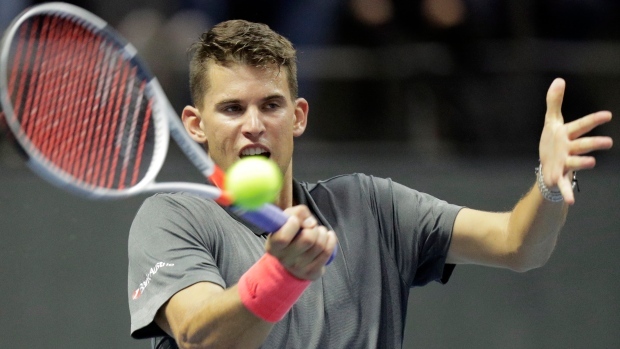 BUENOS AIRES, Argentina — Top-seeded defending champion Dominic Thiem of Austria advanced to the Argentina Open semifinals Friday, beating Uruguay's Pablo Cuevas 4-6, 6-4, 6-3. Thiem will face fourth-seeded home favourite Diego Schwartzman on Saturday. Schwartzman beat Spain's Albert Ramos Vinolas 6-1, 7-5. In the other quarterfinals, third-seeded Marco Cecchinato of Italy beat Spain's Roberto Carballes Baena 7-6 (3), 6-4, and Argentina's Guido Pella topped Spaniard Jaume Munar 6-7 (3), 7-6 (9), 6-1.